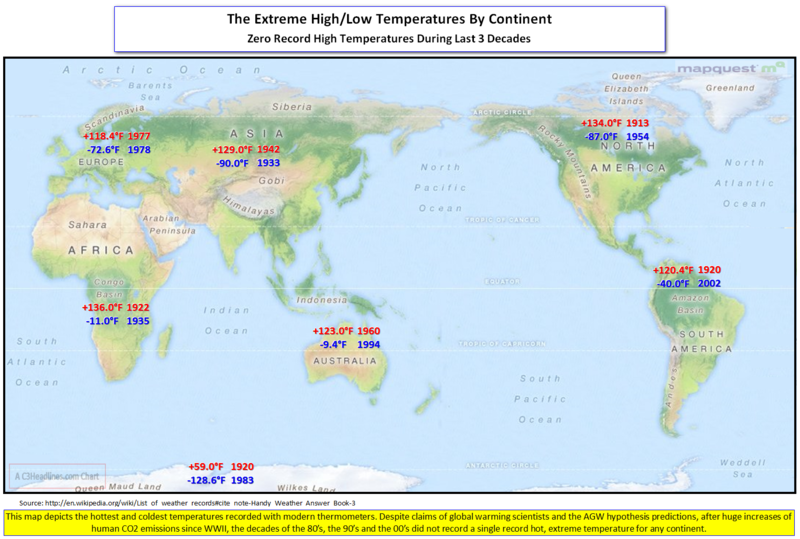 From C3 we get the above chart showing the maximum temperature records set and the fact that the last one was set 33 years ago. No warming here, nothing to see, please go home, nothing “unprecedented” going on like the “alarmist warmers” would have you believe, just more global warming fraud. Can you say “busted?” Yet more climate “alarmist” BS. You can read all about it at the source below. More proof that CO2 Insanity exist with the “alarmist” pulling out all the stops because frankly, they’re getting desperate. UPDATE: You can go to Iceage Now here and read about the early cold weather thus far like early snow in china and killer frost in Alberta, Canada.